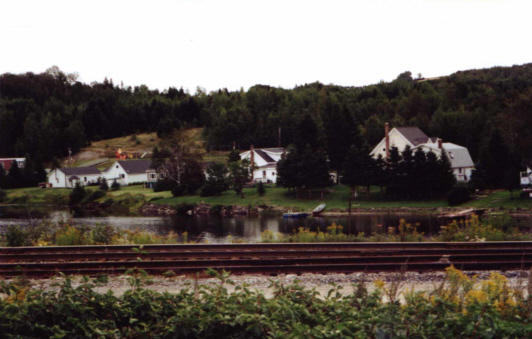 of Soldier Pond from across the river. 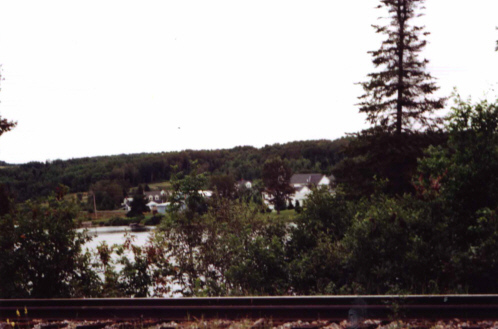 The pulp and paper industry is the primary source of traffic for the Bangor - Aroostook Railroad, which runs from north to south through Soldier Pond. 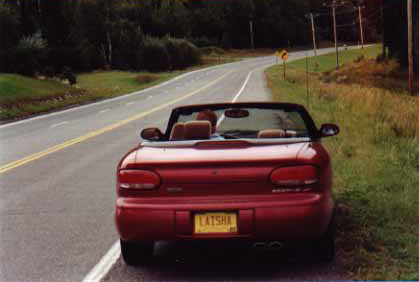 On Highway 11, headed north toward Fort Kent, leaving Soldier Pond. These photos were taken by myself in late August of 2000. I would very much like to have some photos of the town during other seasons, particularly winter. Photos of Soldier Pond in other seasons, particularly winter. 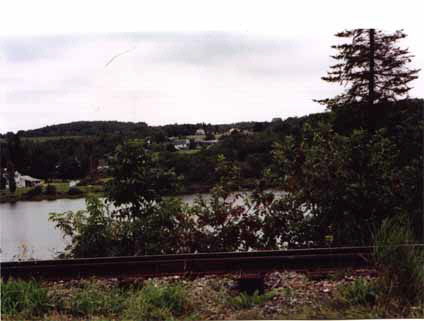 Historical photos of Soldier Pond, preferably with descriptions. Learning the history of the town. If you have photos that I could use for the purpose of this web site, you may attach digital copies of the photos to an email or, if you�d rather send original photos, I will scan and return them.